If you haven’t seen yet, videos are up for Genesis 6! Congrats to Butters for taking top honors and GETTING THAT BREAD with one of the best routines we’ve seen since Takeover launched! It was a day that lived up to its namesake. D2R left spectators at Esports Arena Oakland in awe with a showcase of world-class dance game talent and skill that won’t soon be forgotten. It was a high point for the Bay Area freestyle scene and an exciting step forward for the DDR community at large as we showcased the best the community had to offer in a brand new environment. Garnering 5 of the 6 judges’ first place votes, Applefrog became a 3-time Freestyle Takeover champion – having previously won MAGWest and Cyber Cypher 3 – and took home the coveted D2R championship belt. His “Remember You” routine combined impeccable choreography with a compelling narrative: a tongue-in-cheek yet heart-wrenching retelling of the dissolved relationship between Konami and game designer Hideo Kojima. Hypnotikz and Delo, both visiting from Japan and making their return to the DDR stage after a decade-plus hiatus! You can check out all the performances right here on our Youtube channel! Earlier in the day, the co-main event 8v8 Squad Tech Battle was an absolute barnburner as well! Team 🌽 (captained by iamchris4life) bested Team 🍄 (anchored by fungah) by a decisive score of 11.5 to 5.5. Both teams competed on three different mixes (5th, Extreme Pro and X2) in a variety of formats, facing off in some tightly contested matches to the delight of the crowd. Captains decided which players to send out for every set of songs, adding an extra layer of strategy to each round. No moment may have caused a louder crowd pop than iamchris4life vs. Dimo on The Legend of Max, where both competitors achieved identical EX scores, both only 1 Great away from a AAA grade. You can check out the full Twitch archive of the squad battle here. Esports Arena Oakland for not only their hospitality, but their shared enthusiasm for this event and the amazing support they provided the night before and the day of the event. A first-class venue with first-class staff. Mark (aka BillyJr82) for being an absolute godsend. His technical know-how and guidance was priceless behind the scenes in the weeks leading up to D2R. Roger Clark of SF_EVOLVED for lending us his top-tier video capture equipment. Delo for creating our stream overlays and Matty for stepping in to help out with the freestyle portion of the live broadcast. Romer for his excellent job promoting D2R on Facebook and assistance with the DDR X2 card draw app. Buzzert, G, Dimo, and Bruce for their entertaining & engaging stream commentary throughout the event. Michele King, Marjorie, Mr. Wendell, Lil B and kay0ss for taking judging duties for the most stacked freestyle lineup of the year. Chris4life and fungah for collaborating with us on the tech battle event. You both did a stellar job assembling two elite squads that deserved the spotlight and we wish you both the best of luck at KAC! We’re still coming down from the high of D2R. This has been the cherry on the sundae of our first year as Freestyle Takeover and an incredible way to have celebrated 20 years of Dance Dance Revolution. The community’s outpour of support and positive feedback is nothing short of encouraging for things to come in 2019. Thank you all again! The picks are in for our 8v8 squad battle at D2R! You can watch the stream archive below. A very fun call with some of the Bay Area’s top DDR talent! We want to thank everyone who submitted scores for our D2R qualifier set – these were some CLOSE results. Awesome job to all involved. We now have our top 8 for next week’s live draft! fungah_ and CHRS4LFE will each reveal their 3 personal picks live next Tuesday on our Twitch channel with a live draft of the top qualifiers to follow. Stay tuned! As you may have heard, our Cyber Cypher 3 results are in! DaKree got things soapy and we loved Melvin’s theme + technical ability but the fusion dance between Apples and Hideo Kojima was just TOO STRONG. This turned out to be a hugely entertaining remote event and we want to thank you guys for being a part of it and coming through with those themes! 3rd place: DaKree – Do You Love Me? 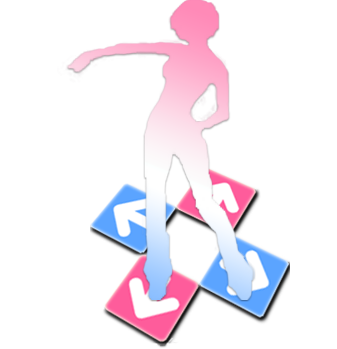 We’re ecstatic to announce we’ll be hosting December 2 Remember, a Dance Dance Revolution tournament at Esports Arena Oakland on Saturday, December 29! With this event, we want to commemorate the 20th anniversary of DDR with a prestigious double main event tournament to showcase its best players. We’ll be meeting up this week for our next Freestyle Friday (10/19) at one of the best barcades in the Bay, Coin-Op SF! They have an ITG3 machine loaded up with every mix and then some, so mark your calendars, prep a song or two and get ready for some DDR freestyle action starting at 8pm!